A study of hundreds of leisure facilities by Bonasystems, a leading provider of specialist floor care products and services, has revealed that four-fifths (79 per cent) of “wet leisure” floor surfaces were not up to Health & Safety Executive (HSE) standards used to prevent slips and trips. This leaves their owners risking fines of up to 100 per cent of annual profits for health and safety breaches1, not to mention claim costs of tens of thousands of pounds. Bonasystems tested 379 floors alongside swimming pools, in showers and in changing rooms over the last two years. It used the pendulum test, the method used by HSE in prosecution cases, which is designed to replicate a pedestrian heel strike at the point when most slips occur. Testing took place in various types of leisure facility, including those owned and outsourced by local authorities, privately owned leisure centres, Sporta trust facilities and hotels. Despite the fact that slips and trips are a major cause of accidents in the leisure sector, the results reveal a worrying lack of compliance. HSE guidance says that in foreseeably wet environments (e.g. poolsides, showers, changing rooms) a wet pendulum test value (PTV) of 36 or above is required (this reduces the slip risk to 1 in 1 million versus a risk of 1 in 20 if there is a wet PTV of 24). When Bonasystems carried out the pendulum test in wet conditions, 79 per cent of floors did not achieve 36 PTV. The study also revealed that floor specification is not the major cause of non-compliance – in fact poor maintenance is the biggest problem. 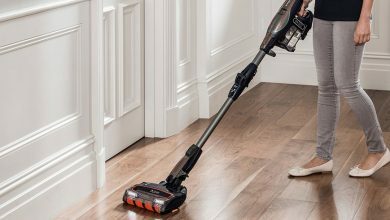 Bonasystems’ testers found that once the floors were cleaned correctly, 75 per cent would (in wet conditions) achieve 36 PTV or above. It concludes that nearly 75 per cent of floors are fit for purpose, but will only meet HSE standards if they are maintained properly. Christian Harris, Commercial Director of Bonasystems, comments, “This is a very serious issue for leisure centre and hotel operators. Whilst the average cost of a slip and trip claim is some £14,000, in reality we can expect the overall cost to be much higher on account of recent changes to the sentencing guidelines on fines for health and safety breaches. In the worst case scenario, these allow for fines of up to 100 per cent of a company’s annual profits, not to mention the personal cost to the claimant and the reputational damage involved. For further information about Bonasystems and its services visit the website or telephone +44+1442 927 100.